Have you watched Shark Week in the past? 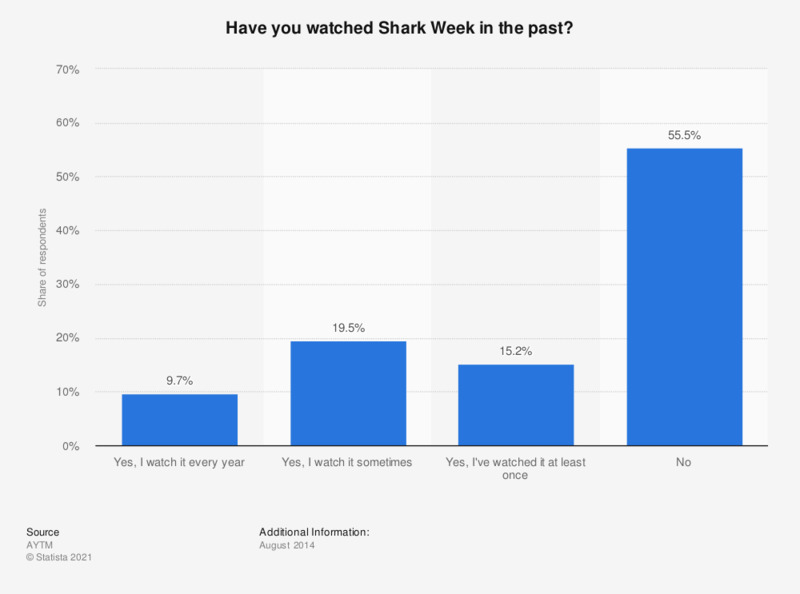 This statistic presents information on the popularity of Discovery Channel's Shark Week in the United States as of August 2014. During the survey, it was found that 9.7 percent of respondents watched it every year. How did you watch Discovery Channel's Shark Week? Did you share anything about Shark Week on the social media? Who do you think would win a fight between a shark and a bear?